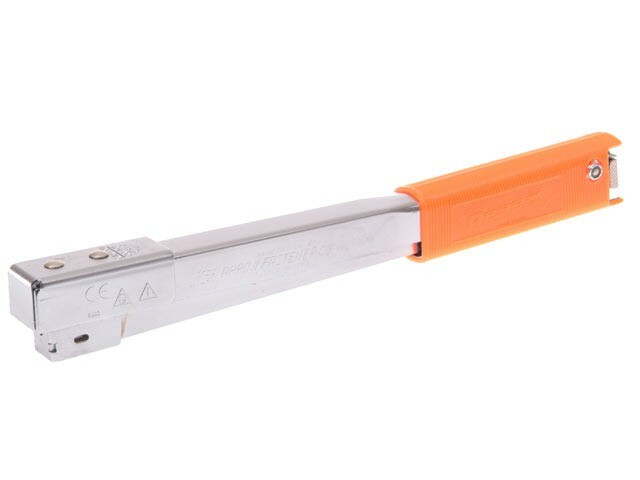 The Arrow HT30 Light-Duty Hammer Tacker has an all steel construction and durable chrome finish and high carbon hardened steel working parts. With a jam resistant mechanism, precision locked rear loading, retractable striking edge and specially designed power grip handle. Ideal for light-duty tasking inculding: vapor barrier, upholstery, tagging chores and insulation. Fires: Type T30 Staples: 6-10mm.